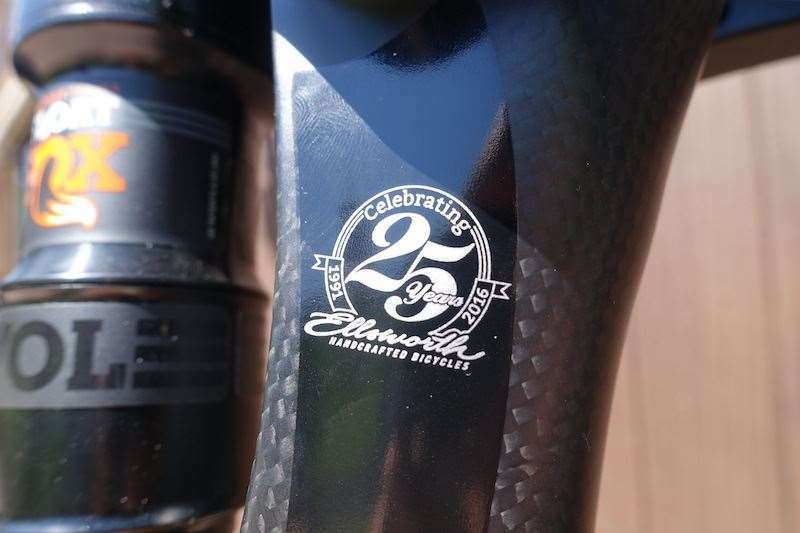 In 2016, Ellsworth Handcrafted Bicycles will celebrate its 25th anniversary. In 2016, Ellsworth Handcrafted Bicycles will celebrate its 25th anniversary. And in the world of mountain bikes, that's an impressive feat on its own. Along with iconic brands such as Intense, Turner, Yeti and Santa Cruz, Ellsworth has enjoyed plenty of success throughout it's 25-year history. Many Australian riders would be familiar with Ellsworth's reputation for the beautifully smooth and active ICT suspension design, along with those sublime handmade alloy frames. Despite enjoying a lofty reputation for its boutique products throughout the nineties and noughties, it would be fair to say that the company has experienced a rougher ride in recent years. In late 2015 however, the original owner of Ellsworth Handcrafted Bicycles, Tony Ellsworth, announced a new company ownership. With the reigns handed over, the move has allowed him to better focus on engineering and design. Significant energy has been devoted to update the current range of bikes, with modernised geometry, improved engineering and reworked aesthetics being the name of the game. Case in point? The brand new Rogue 160. Bringing back one of Ellsworth's previous model names, the new Rogue is entirely new from the ground-up. 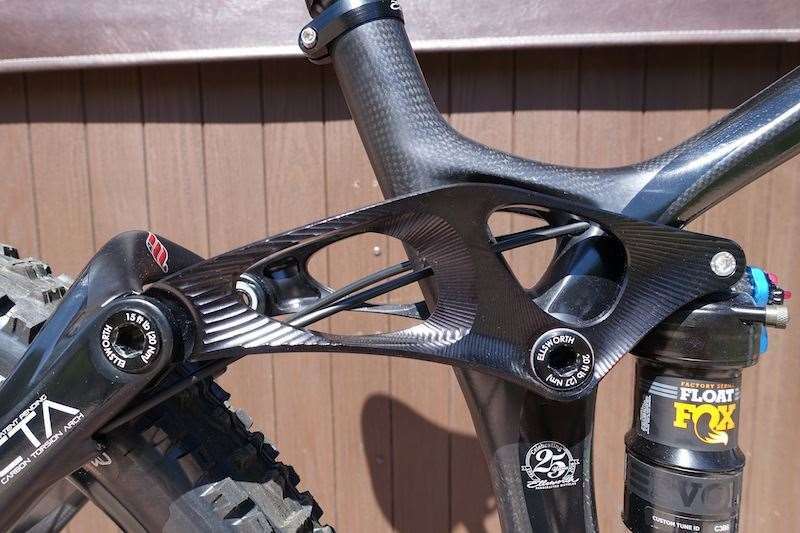 It features 160mm of suspension travel, a 66-degree head angle, a super-short 420mm chainstay length, and raked-out geometry that follows the current trend towards longer, lower, and slacker. 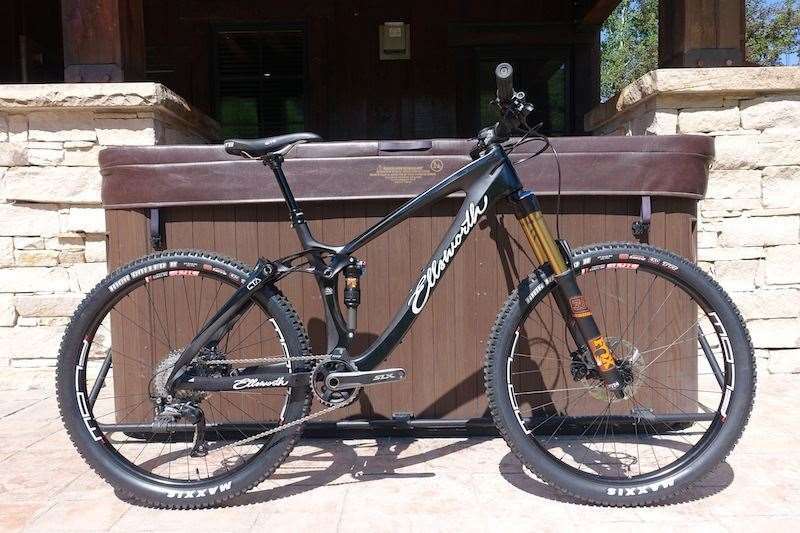 It's built to be a tough and versatile mountain bike for pedalling up long climbs in the mountains, before taking on gnarly black diamond singletrack descents. With those kind of numbers, it should also be clear that this is Ellsworth's most compelling attempt at a full-blown Enduro race bike. 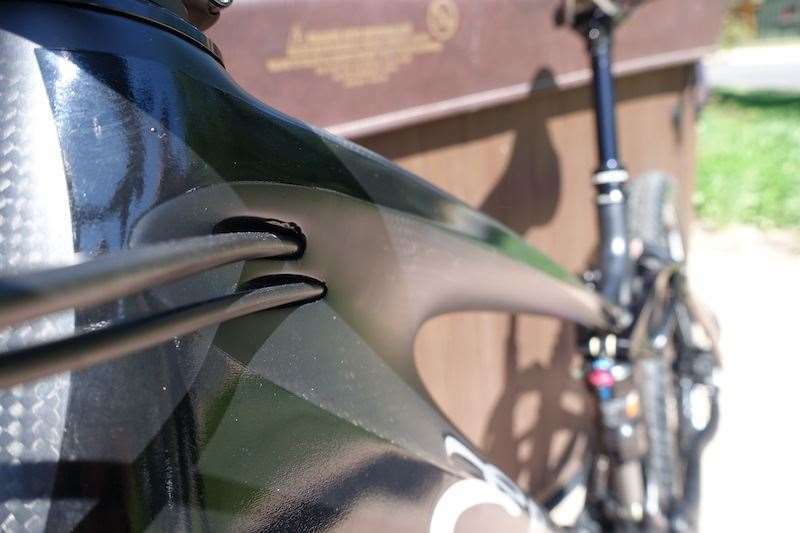 The Rogue 160 is currently offered as a carbon frameset, which comes equipped with a striking CNC machined rocker linkage, and welded alloy chainstays. Ellsworth would like to offer an alloy version of the Rogue in the future, but they'll let consumer demand dictate that one. With the Rogue 160 project beginning as a ground-up development, Tony had the ability to rework every component on the back end to make the frame as stiff as possible. Minimising twist and flex through each pivot point and structural member is a good thing. It allows the rear wheel to track straighter, whilst reducing any binding through the suspension travel and improving bearing durability overall. One element of this design ethos is the unique hex-shaped rear axle. The dropout spacing is 148x12mm Boost, but the axle is completely unique to Ellsworth. 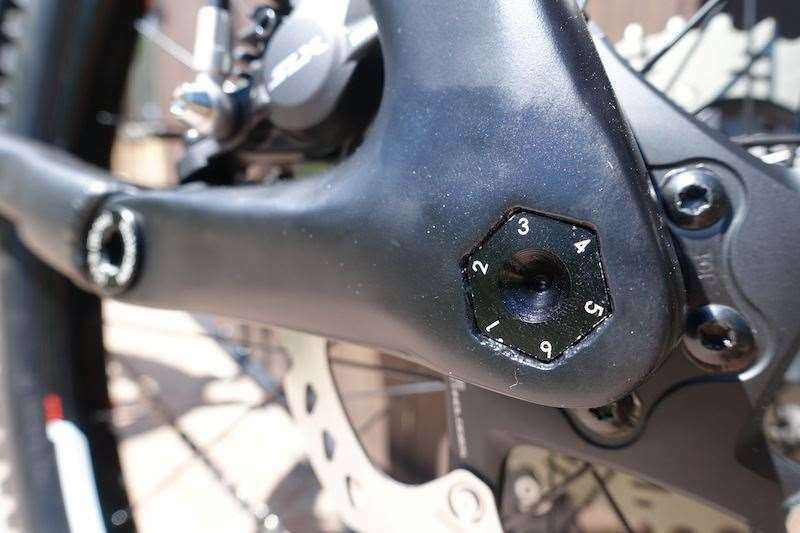 It features a quick-release design, with a hollow 12mm axle utilising tapered hex-shaped interfaces on either side of the dropouts. Compared to a conventional round axle head, the hex-ends assist with locking the axle in place and reducing any shearing or twisting loads. 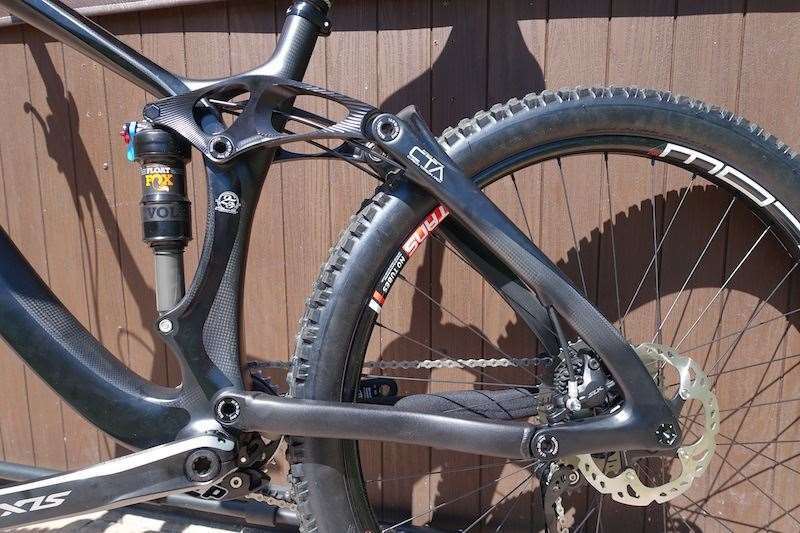 It's a costly manufacturing exercise, but one that Ellsworth feels is important in strengthening the back end of their full suspension bikes. As such, you'll find this same design on other models such as the Epiphany and Moment. Identifying each pivot point as a chance to boost stiffness, Ellsworth have employed oversized 15mm diameter axles, dual-row angular contact cartridge bearings, and wide-bore precision machined threaded pivot pins. Each pivot pin has the torque rating laser etched into the head, and you won't find any washers or small parts sandwiched into the bearing seats. Another unique aspect to the Rogue 160's rear suspension linkage is the use of a custom shock pin for the upper shock eyelet, which gets a hex-shaped head to help minimise twisting/shearing forces between the shock and the rocker link. The theory here is exactly the same as the Hex-taper rear axle, so that the rocker plates pivot in unison rather than bending under heavy loads. Along with all the other improvements on the Rogue's back-end, Ellsworth are claiming a massive 300% increase in stiffness over the previous ICT suspension design. From all accounts, the previous design wasn't considered flexy by any stretch of the imagination, so that's an impressive claim indeed. High-mileage riders will be happy to see a conventional 73mm threaded bottom bracket shell on the Rogue 160, which should provide creak-free riding and easy maintenance of the bottom bracket bearings when required. There's an ISCG tab for mounting a chainguide, which is still an essential for competitive types who don't want to leave anything to chance when hitting the start line. 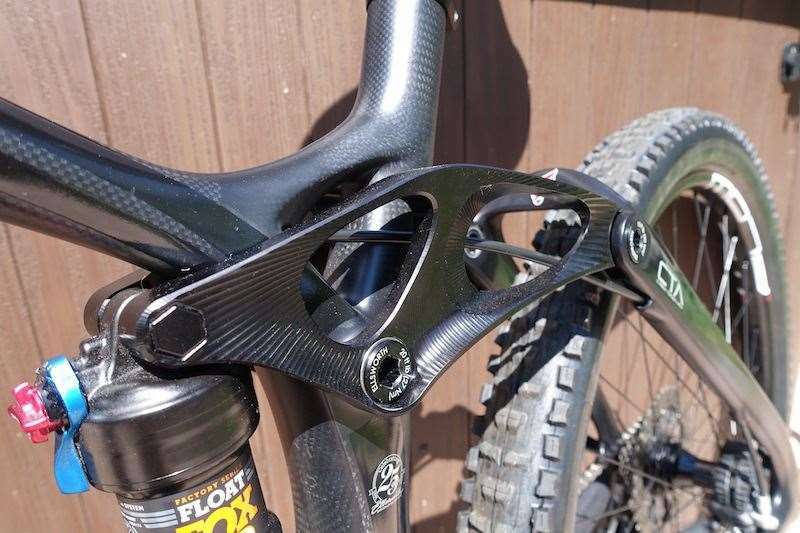 Another nice feature for the privateer racer and weekend warrior is the ability to fit two bottle cages onto the Rogue 160 frame. Neat details on the Rogue 160 frame include a celebratory graphic of the company's 25-year milestone, and a 3K carbon weave that helps to increase durability against small chips and scratches to the frame surface. 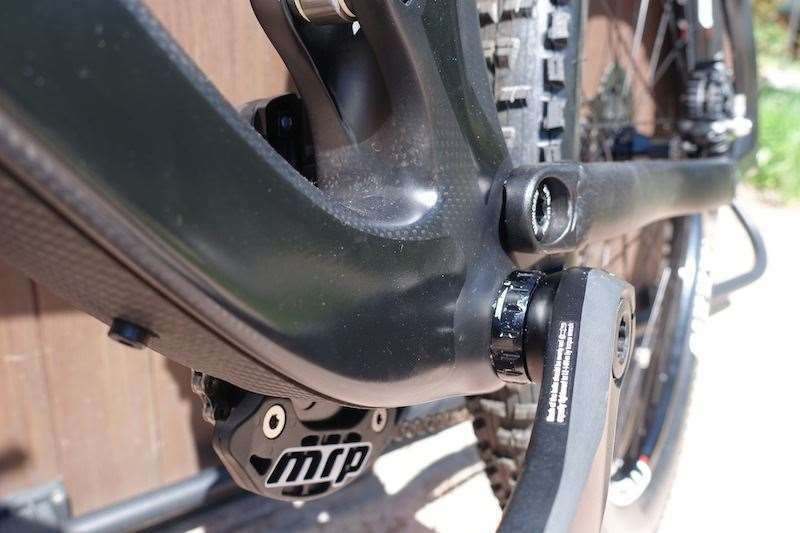 A huge win for home mechanics is the slick internal cable routing, which features built-in noodles that help guide the gear cable from head tube to derailleur. The noodles are fixed in place, and they are designed with full-length outer in mind. All said and done, the new Rogue 160 presents an exciting indication of things to come from Ellsworth. It looks good, it's built to an incredibly high level, and it has an impressive level of finishing details that highlight just how much attention Ellsworth have paid to the everyday rider. 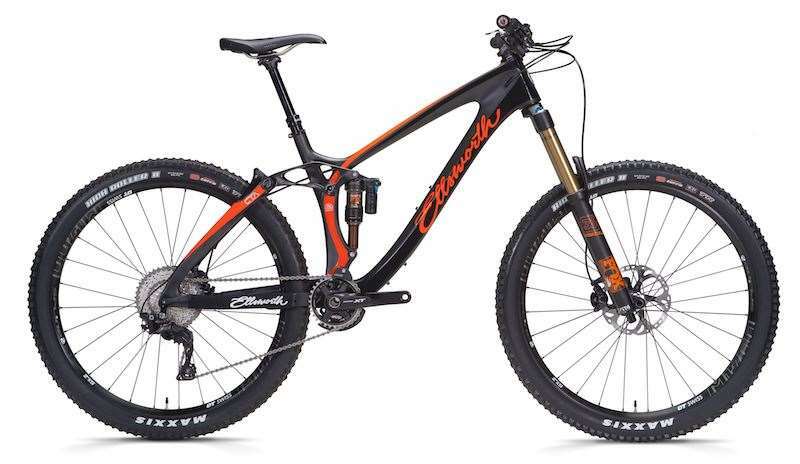 If the suspension design is anything like the previous ICT design, the Rogue 160 is sure to provide a very smooth and active feel at the rear wheel, whilst maintaining excellent pedalling performance - all good things for those who like to ride long. Combined with modernised geometry, the Rogue 160 is likely to win over aggressive riders who may have previously overlooked the brand. Head to EllworthBikes.com for more information on frame and complete bike options.